Just what the hell is Yarn Bombing ??? 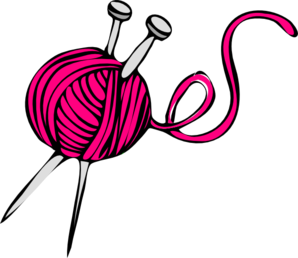 Although I am a lover of all things textile and have turned my hand to many a technique, I am not ( gasp) a knitter nor do I ( double gasp) crochet! That's not to say I might not have a dabble in the not too distant future as scrumbling has rather piqued my interest. Being a bit of a dabster in wool work, I have always had the greatest admiration for those with the patience to excel in the aforementioned art forms and the incredible way they manipulate wool and various fibres into amazing creations. Currently a group of talented individuals has come to the fore pushing this art form to even greater and unexpected heights. Knitting and crochet work has surreptitiously started appearing in public places where one would least expect to find it. This newer phenomenon is known as " yarn bombing", " guerilla knitting" or even " grandma graffiti" and it is a form of street art that incorporates knitted or crocheted shapes which cover objects in public areas, ie lamp posts, benches, derelict buildings, statues , railings, trees etc. It has become a movement that is catching on like wild fire world wide . In fact, this past Saturday June 8th was officially International Yarn Bombing Day and the participants outdid themselves in creating spectacular works of art in both commonplace and unusual areas. Yarn bombing is traditionally deemed a form of vandalism, often done to property without permission and is considered an illegal act. In reality, for the most part, legalities are overlooked, as in many cases the yarn bombing is an improvement to existing eye sores or brings attention to causes or encourages community involvement. In addition, unlike other forms of graffiti, yarn bombing is not considered permanent and can be easily removed if and when necessary. It is my understanding that some yarn bombers remove their work after a limited run, clean and recycle the wool to make blankets, hats etc. for homeless shelters and various charities. In my travels to inform myself more about yarn bombing, I came across a few interesting sites I thought you might enjoy as well. What an interesting post. I love the purple bike and the cherry blossom tree. It's good to have you blogging again.